LOS ANGELES — Jimmy Kimmel fired back at Republicans who have dismissed his criticisms of the GOP's plans to repeal and replace Obamacare, once again using his monologue to urge viewers to call their senators to stop the pending legislation. It was a the third night in a row that Kimmel has warned of a bill co-authored by Sen. Lindsey Graham (R-S.C.) and Sen. Bill Cassidy (R-La.). On Tuesday, he called Cassidy a "liar" for coming on his show earlier this year and vowing not to support any legislation that does not guarantee affordable healthcare to families, particularly those with children who have pre-existing medical conditions. Cassidy had taken to saying that he would not support any bill that did not pass the "Jimmy Kimmel test." But the Graham-Cassidy legislation, Kimmel said, "most definitely does not pass that test." He noted that it weakens protections for pre-existing conditions, and would allow insurance companies to once again impose lifetime caps, among other things. Kimmel also pointed to the array of groups that have come out against the Graham-Cassidy legislation, including the American Medical Association, AARP and the American Cancer Society. "We haven't seen this many people come forward to speak out against a bill since Cosby," Kimmel quipped. Kimmel also riffed on President Donald Trump's support of the legislation, as he doubted that the president has even read the legislation. "He doesn't know the difference between Medicare and Medicaid," Kimmel said. "He barely knows the difference between Melania and Ivanka." Kimmel again skewered some of the reaction to his previous monologues. He showed a clip of Sen. John Kennedy (R-La. ), in which he said of Kimmel, "I don't think anybody would confuse him with a well-respected healthcare expert." Critics have dismissed Kimmel as just a comedian and a member of the "Hollywood elite." Kimmel responded, "I'm asking why people like you aren't listening to actual experts like the American Medical Association?" He also said that even though he was not a healthcare expert, "I think those people forget Bill Cassidy named this test after me. Am I supposed to just be quiet about that?" Then he played a clip of Trump on "Celebrity Apprentice," saying his signature line, "You're fired." "The guy you voted for for president. His job qualification was this. He fired Meat Loaf on television," he said. Kimmel initially started talking about the need for affordable healthcare earlier this year, after his infant son went through emergency heart surgery. 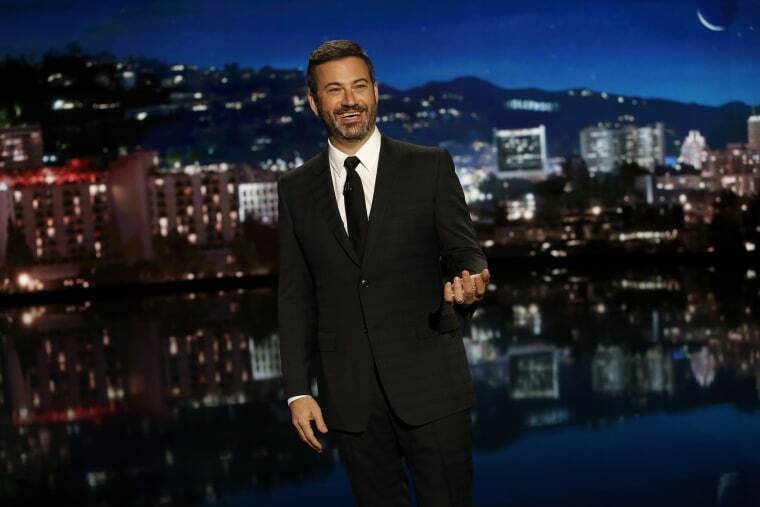 At the time, Republicans were considering a different version of repeal and replace legislation, and Kimmel talked of how his situation would have posed dire problems for middle- and lower- income families who could not afford healthcare insurance.